The club president, Utpal Banerjee, said Miss Barman would flag off the half marathon and the 6-km-long race at 6.30 am and 7.00 am from Sukna and Matigara respectively. Swapna Barman, who scripted history by winning the first heptathlon gold for the country in the Asian Games2018 in Indonesia arrived home amid a hero's welcome today. 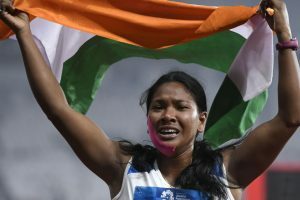 Basana Barman, the mother of the region's first Asian games gold medalist Swapna Barman, is all set to welcome her daughter when she arrives at her home in Jalpaiguri very soon. 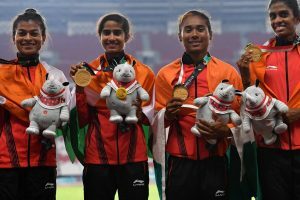 Swapna had finished fifth with a total of 5178 points on debut at the Asian Games four years ago in Incheon as a teenager.